Polycarp was born in Smyrna and later became Bishop there. He was a disciple of the Apostle John and also a friend of Ignatius. He was a very dedicated student of the Pauline Epistles and The Gospel of John. He had very little to say about sacraments or ritual. 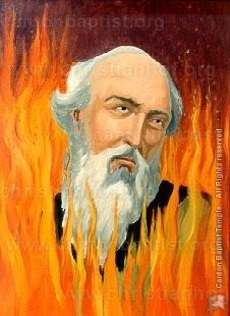 Polycarp was burned alive, and when the flames refused to consume him, he was killed with the sword and then burned.